U.S. Bankruptcy Real Estate Auction-Georgia | Taylor Auction & Realty, Inc.
An Online Only Auction to liquidate 3 Georgia Properties belonging to the Steadivest, LLC bankruptcy case. 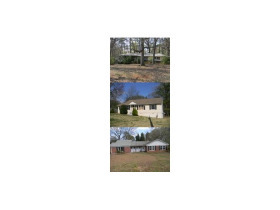 Properties are in the DeKalb County, GA area. This online only auction conducted in association with Rowell Auctions, Inc.
PROPERTY IS OFFERED UNDER THE SPECIFIC TERMS PROVIDED. PLEASE READ AND REVIEW THE TERMS THOROUGHLY PRIOR TO BIDDING ON ANY PROPERTY. IF YOU HAVE NOT READ AND REVIEWED THE TERMS and all DOCUMENTATION PROVIDED IN THE FILES TAB IN REGARD TO THE CONTRACT OF THE PURCHASE AND SALE OF REAL ESTATE, DO NOT BID. Taylor Auction & Realty, Inc. has put forth every effort in preparing the catalog for this auction to provide accurate description of the property. Real Estate selling AS IS and neither the Trustee nor Taylor Auction & Realty, Inc. make any warranties or representations, express or implied, as to the habitability or condition of the real property It is encouraged that you inspect the property you wish to purchase PRIOR TO THE ONLINE AUCTION. No sale is contingent upon a property inspection by the successful bidder after the auction or is the sale contingent upon Buyer obtaining financing. Printed statements or descriptions by staff or seller are provided in good faith and are matters of opinion. Bidders must conduct and rely solely upon their own investigations and inspection in regard to condition and feasibility of the bidder's intended use. The property is being sold 'AS IS' with any and all faults. Please review all information supplied, and seek appropriate assistance prior to bidding. In regard to Inspection, please call 662-226-2080. This feature extends the bidding for all lots on the auction. The auction extends for the amount of time supplied in the Auto Extend field which is 10 minutes. This behaves differently than normal Auto Extend. If the End Time is 6:00 PM, Auto Extend is set at 10 minutes, and a bid is placed 9 minutes before the end of the auction, this will only extend the auction to 6:01 PM. The actual end time shown for the auction is the end time for all items and other bidders are always given the amount of time supplied in Auto Extend to consider placing a bid. Please note that this feature changes the actual end time of the auction and that no notification of this extension is currently given to bidders. All bidders are encouraged to watch the catalog for bidding purposes because of the system's extend-all feature on all lots. Time Increase of Decrease: Taylor Auction & Realty, Inc. may increase or decrease the extended time amount at any time during the auction until the close of bidding. In order to have enough time to conduct authorizations, registration must be completed at least 24 hours in advance of the end of the auction. If the day before an auction falls on a holiday or weekend, the deadline is the day before the holiday or the Friday prior to the auction. In order to better serve our customers, all bidders must provide their name, address, daytime phone number or cell number, and email address at which they can be contacted. This is to insure good communication between Taylor Auction & Realty, Inc. and the bidder throughout any transactions. Each bidder's identity is verified. Bidding rights are provisional, and if complete verification is not possible, Taylor Auction & Realty, Inc. will reject the registration, and bidding activity is terminated. Our on-line auctions move quickly! If you are interested in bidding, do not delay. Bid quickly; especially at the close of bidding time. The bidding software will notify bidders by email or text when they have been outbid. Bidders may also find out if they have been outbid by refreshing the individual lot information or the entire screen. Due to varying internet connections/ speed, please place a max bid or constantly monitor the auction at close of bidding. Sometimes email or text notifications can be delayed. If you win you are notified by email. ORDER OF AUCTION: Offering - The real estate is offered as a whole by the dollar. BUYER'S PREMIUM: A 10 % Buyer's Premium is added to your final bid to equal the contract price. Terms: At the close of the auction, successful bidders are emailed a contract to be executed and returned to Taylor Auction & Realty, Inc. Successful bidders will deposit 10% of contract price per property in the form of cashier's check or wire transfer to Taylor Auction & Realty, Inc. The entirety of the remaining balance is due within 45 days at closing. This online auction is a CASH SALE not contingent on or subject to financing, appraisal, survey or inspections of any kind, as agreed to by Bidder and or Buyers at registration prior to bidding and specified in the Contract for Sale of Real Estate. Purchaser is responsible for all wire transfer fees. AUCTION CONTRACTS: Contract Documents are sent by e-mail to the successful bidder, who must execute, fax or email back to Taylor Auction & Realty, Inc. within 24 hours of the end of the auction. You are closing on property on which you are the successful bidder in the final manner in which you bid at the auction. AUCTION BID DEFAULT: Successful bidder not executing and returning the contract with earnest money deposit within 24 hours of the conclusion of the auction is considered in default. In the event a winning bidder fails to submit the signed Contract for the Sale and Purchaser of Real Estate and 10% of High Bid Price in earnest money deposit, the winning bidder is charged a penalty fee of $1,000.00 on the credit card provided at auction registration. Additional default remedies are reserved by Taylor Auction & Realty, Incorporated and the Seller as provided in the Auction Terms and Conditions and the Contract for Sale of Real Estate. Taylor Auction & Realty, Inc. reserves the right to sell to the second-highest bidder in the event the successful high bidder does not comply with the terms of the sale. LIQUIDATED DAMAGES: If the buyer does not close within the stated time frame detailed in the contract, the escrow deposit is automatically forfeited by the buyer. If such action occurs, Taylor Auction & Realty, Inc. hereby has the right to disperse the deposit as stated in the listing agreement and the buyer has no claims to such money or property being sold. Liquidated damages are to cover cost of auction, cost incurred by seller, labor cost and additional cost of auction as not defined in this agreement. Taylor Auction & Realty, Inc.'s INVOLVEMENT IN THIS CONTRACT: Taylor Auction & Realty, Inc. is the agent of the seller and their fiduciary duties of loyalty and faithfulness are owed to their client (the seller). Taylor Auction & Realty, Inc. is not acting as a buyer's agent. TAR reserves the right to remove or cancel the bids and or bidding rights and privileges of any party, deemed not to be in the best interest of the seller, at any time. The seller and buyer hereby agree that Taylor Auction & Realty, Inc. is a part of this contract and shall receive compensation as stated in the Contract to Purchase Real Estate. CLOSING: Time being of the essence, each sale contract must close within the 45 day period. The United States Bankruptcy Court will convey clear title to the property and is responsible for only deed preparation. All other closing costs are the responsibility of purchaser. Title insurance is offered at the regulated rates,as an optional item for owners. TAXES: 2013 Taxes are prorated to the day of closing. Any prior taxes are paid at closing by the trustee. CLOSING TIME: Within 45 days and upon approval of bankruptcy court. Rental Information and Security Deposits: Information provided by the Steadivest manager in regard to monthly rental amounts and occupancy at the beginning of this project date being November 29, 2012. Auctioneer, Managers or Trustee are not guaranteeing that any house stated rented in the catalog is rented during the bid process or at closing. Nor or we guaranteeing that a vacant house is rented. The leases are on a month to month basis and we cannot guarantee that a renter will not decide during this auction process for various reasons to vacant. If any security deposit is on record, a credit is transferred at closing to the buyer. Security deposit credits are not guaranteed for houses that are currently rented at closing. ACREAGE AND AERIAL PHOTOS: Parcel Dimensions and acreages are based on legal descriptions. Aerial photos are for illustration purposes only and not surveyed boundary lines. RESTRICTIONS: Subject only to local and State of Georgia laws, ordinances and regulations. Property is selling to all easements of record. Seller is placing no restrictions on the property. The seller does warrant that they have good merchantable title to the real estate and that they will convey the same with a trustee deed, free from all encumbrances, liens or judgments at the time of closing. DISCLAIMER: All information contained herein is believed to be correct to the best of the auctioneer's knowledge. The information is being furnished to bidders for the bidder's convenience and it is the responsibility of the bidder to determine that information contained herein is accurate and complete. Any reliance on the contents shall be solely at the recipient's risk. Bidders must conduct and rely solely upon their own investigations and inspection in regard to condition and feasibility of the bidder's intended use. The property is being sold 'AS IS' with any and all faults. Please review all information supplied, and seek appropriate assistance prior to bidding. Note: Under Title X, the purchaser of a single family residence built before 1978 has a maximum of 10 days to inspect the property for the presence of lead-based paint. All bidders must sign 'Disclosure of Information on Lead-Based Paint and/or Lead-Based Paint Hazards' waiving the opportunity to conduct a risk assessment or inspection for the presence of lead-based paint and/or lead-based paint hazards. If a 10 day opportunity is demanded to conduct a risk assessment or inspection, the ten days starts 10 days before the close of the auction. Hold Harmless: Buyer and or bidder agrees that Taylor Auction and Realty, Inc. is a representative of the Seller and agrees to hold harmless and indemnify Taylor Auction & Realty, Inc. and its Agents, Owner, Directors, Employees and its Representatives from any and all claims, demands, expenses, damages which bidder/buyer may claim on account of or any way growing out of said auction and to look solely to the Seller for any remedy demanded. SOLE AND EXCLUSIVE VENUE & JURISDICTION OF ALL DISPUTES: Any and all claims, including debt collection and all other disputes of any kind, nature, or character whatsoever arising from this auction sale shall be brought in the appropriate court of Grenada County, Mississippi, and shall be governed by the laws of the State of Mississippi; Seller, Bidder and Buyer each individually and collectively by virtue of participating in the Auction conducted by Taylor Auction and Realty, Inc. do hereby irrevocably agree to submit themselves and any claims to the jurisdiction and venue of the courts of Grenada County, Mississippi, and the laws of the State of Mississippi, which shall be the sole venue and jurisdiction for the resolution of any claims between them and Taylor Auction and Realty, Inc. regardless of the nature or location of the property sold/purchased or the physical location of the Auction. Bidder Acknowledgment: Bidder acknowledges that no relationship of any nature or type, agent, employee, independent contractor or otherwise is created between bidder and auctioneer, affiliated auction companies, affiliated software companies and/or any servant, agent or employee of the same by bidder's participation in this auction. Bidder acknowledges and agrees that Auctioneer is acting solely as the agent for the seller in this auction. Disclaimer of warranties: There are no understandings, agreements, representations or warranties, express or implied not specified herein, respecting this contract or the item or property sold hereunder, including but not limited to the merchantability or fitness for a particular purpose. Bidder Responsibilities: Bidder responsibilities include, but are not limited to: Bidders agree to keep their username and password confidential, as they are responsible for ANY and ALL activity involving their account. When using the web site you must obey any and all local state and federal laws. Violations will result in termination of web site use privileges. Auction company employees and/or Auction Company may bid on auction for absentee bidders or at the direction of interested bidders. Guaranty Agreement in regard to bidding for a business entity: By submitting a bid in the name of a business entity or corporation, the individual submitting the bid enters into a guaranty agreement whereby he or she personally guarantees earnest money payment to Taylor Auction & Realty, Inc. and completion of the transaction. SERVER & SOFTWARE TECHNICAL ISSUES: In the event there are technical difficulties related to the server, software or any other online auction-related technologies, Taylor Auction & Realty, Inc., reserve the right to extend bidding, continue the bidding, or close the bidding. THE COMPANY PROVIDING THE SOFTWARE nor Taylor Auction & Realty, Inc. WILL BE HELD RESPONSIBLE FOR A MISSED BID OR THE FAILURE OF THE SOFTWARE TO FUNCTION PROPERLY FOR ANY REASON. Email notifications are sent to registered bidders with updated information as deemed necessary by Taylor Auction & Realty, Inc.
Refresh Bidding: Refresh your screen constantly during the closing minutes of the bidding, or Enable the Auto Refresh feature. By bidding on any item, the bidder shows acceptance of the terms of the auction.